Since Greg Hardy has been in the news this week, I figured I would send you an article about what the NFL’s should do around creating a new Domestic Violence policy? Here is my take on what changes could be made to be more pro-active from the Commish’s office. Abusive Relationships: The NFL’s Domestic Violence Policy | Keith Dent | YourTango. In the Trenches – Why an Offensive line is so important in Marriage. Since, I love so much, as well as relationship coaching so much, I figured I would combine the two. With that said, I am starting a new series, called “In the Trenches!” It’s a new way to talk about relationships through the lens of sports. I hope this will spark dialogue between couples especially men. 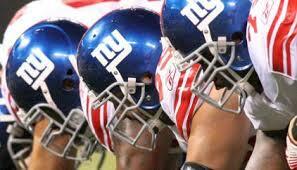 Today’s blog will begin with my New York Giants and the Pittsburgh Steelers. Both teams are 0-4. The Giants haven’t started a season this way since 1987, and the Pittsburgh Steelers even farther back since 1968. One of the main contributors of this fact is because their offensive lines are so poor. The Steelers are 26th in scoring with only 17 points per game, while the Giants are 30th with 15 points per game. To put this in perspective, the number one team in the league averages over 45 points per game. The heart and soul of any good football team is its offensive line. There’s no position that requires more discipline or technique than offensive lineman. Success as an offensive football team hinges on their ability to control the line of scrimmage. To be a good offensive line requires more than just discipline or good blocking technique, it requires pride — pride in yourself; your group and your team. A team with pride is a hard team to beat, because they’re willing to do the little things that most teams aren’t willing to do. No detail should ever be overlooked, regardless of how minute it may seem. The difference between winning and losing often lies in the failure to do the little things. In marriage, the little things matter just as much as they do for a football team. You have to be in the right position to succeed. So if you are having trouble getting your man to respond, try these 3 techniques. Put him the position to protect. If you have a concern about something, as him an open-ended question. If you ask him a yes/no question, you will get a yes/no answer. “Don’t act helpless, but let him see your vulnerable side will bring him closer because it unlocks his instincts to take care of you,” says David Givens, PhD, author of Love Signals. So give him chances to take charge, and thank him after he does. When a guy associates you with feeling like a hero, he will act like a hero. Put him in a position to be free. Even emotionally healthy men want assurance that their identities will stay put after they’ve become a husband. “By making it clear that you don’t expect your guy to change, he’ll feel like you truly understand him but don’t threaten his sense of self,” says Dan Neuharth, PhD, author of Secrets You Keep from Yourself. So continue to encourage him to hang out with the fellas. Put him in a position to be the best. Maybe he’s cocky, but he’s still insecure. Like in sports, guys need to know that they’re respected and appreciated. “When being around you increases a guy’s esteem, he will continue to do things to receive the same response from you. Husbands, if you wife is about to put you in the bench make sure you do these three things. To be dependable. Most women have a need to feel like they can count on their men to come through for them when they need it. To ensure that your girl feels this way about you, be dependable in the small things. Be where you say you will be, when you say you will be. And if you say you are going to do something, do it. Don’t let things slip away. It’s the small things in life that add up to someone being considered dependable. To be able to Talk. One of the things women really want from their men is for him to talk to her. What this means is that she wants meaningful conversation with you. Tell her how you’re doing; your hopes and dreams. Tell her what you’re thinking about when she’s not around. Tell her about what’s on your mind, and listen to her when she responds even if she might not like what you have to say. To be understood. Just because it’s not a big deal to you as a husband, doesn’t mean it’s not a big deal to her! Sometimes we will fight because we want to be right. It’s not about right and wrong–its just different. The good news is, you don’t have to fully understand in order to respond well! Your wife wants to feel like she is heard, understood. By feeling understood, then she feels you care. What are some other little things husband’s or wives can do to feel honored in marriage.